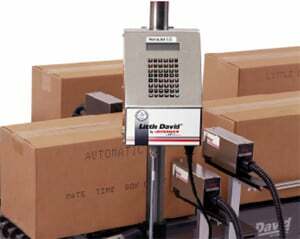 Choose the stainless steel controller that drives up to six Large Character inkjet print heads. Character print height selection ranges from 3/8″ to 2″. Optional Windows based software available for networking convenience. RS232 interface is standard. 5-gallon non-toxic bulk ink supply minimizes supply changeovers. Enter up to 39 characters per message line with 166 memory storage locations available. Shift codes, time codes, product count, and expiration dating are all automatic.